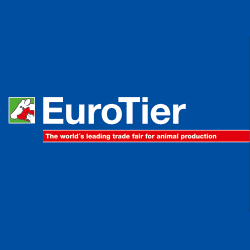 November 6, 2014 – Osborne, Kansas, USA – Osborne Industries, Inc., a leading manufacturer and supplier of advanced pig production equipment, is pleased to announce that it will be exhibiting at Eurotier, the world’s leading trade fair for animal production. The show is held in Hannover, Germany, from November 11-14, 2014. Osborne will be present in Hall 9, booth D15. Osborne will be showcasing the FIRE® (Feed Intake Recording Equipment) pig performance testing system, a feeding system used by leading pig genetics companies and universities around the world. The system automates individual animals’ daily feed intake and other performance characteristics for the genetic, feed and pharmaceutical testing of pigs. Currently, the system is used by more genetics companies than any other performance testing system. Osborne will also showcase its other signature products, including traditional equipment like the Stanfield® pig heating pad, Big Wheel® pig feeders, and ACCU-ARM® weigh scales. Visitors can also learn more about Osborne’s advanced, automated equipment like the electronic sow feeding (ESF) system, TEAM® (Total Electronic Animal Management) and the Weight Watcher™ growth management system for grow-finish farms. Eurotier is the world’s top event for animal husbandry experts, bringing together producers and equipment manufacturers from all over the world. The fair highlights animal husbandry in the areas of cattle, pigs, poultry, sheep and aquaculture. Osborne Industries, Inc., headquartered in Osborne, Kansas, USA, specializes in the development and manufacture of pig production equipment, with over 40 years of experience in the agriculture industry. Osborne’s products can be found in over 40 countries around the world. For more information about Osborne Industries, Inc., call 1-800-255-0316 (1-785-346-2192) or visit osbornelivestockequipment.com.